While Microsoft is trying to reinvent itself, the company makes acquisition on startups that created apps which are in competition with its own. The latest acquisition of one of the best calendar apps — Sunrise — and is reportedly paid at least $100 million by Microsoft. According to TechCrunch's post, software giant Microsoft bought Sunrise amounted at least $100 million. 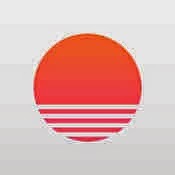 Sunrise is an app suited for calendar products both mobile and desktop users that connects with and consolidates calendars from different providers. Users can access calendars from third-party apps such as Google Calendar, iCloud, and Microsoft Exchange. Sunrise's cross-device and cross-platform support really helps users to gain significant traction. Moreover, it was reported that Microsoft will keep the Sunrise apps as standalone onr.